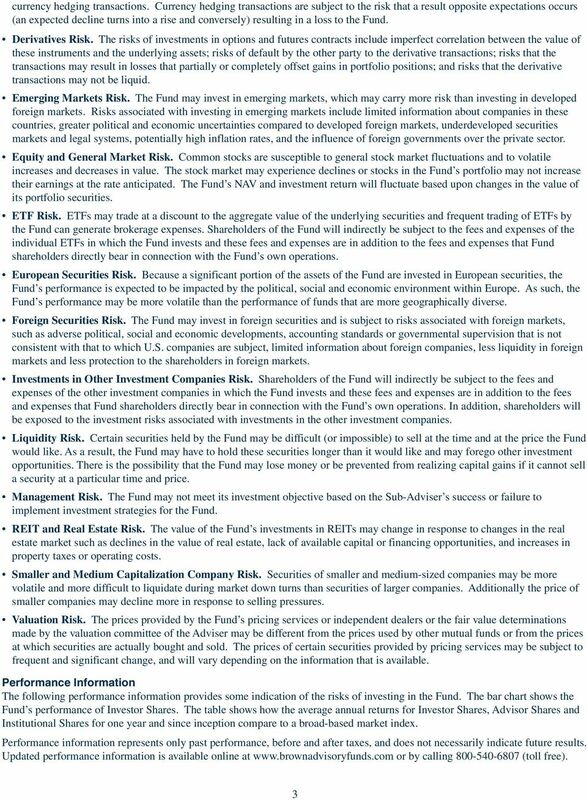 Download "Brown Advisory WMC Strategic European Equity Fund Class/Ticker: Institutional Shares / BAFHX Investor Shares / BIAHX Advisor Shares / BAHAX"
FREE MARKET U.S. EQUITY FUND FREE MARKET INTERNATIONAL EQUITY FUND FREE MARKET FIXED INCOME FUND of THE RBB FUND, INC. PROSPECTUS. INVESTMENT OBJECTIVE The Fund s investment objective is to generate current income consistent with preservation of capital. 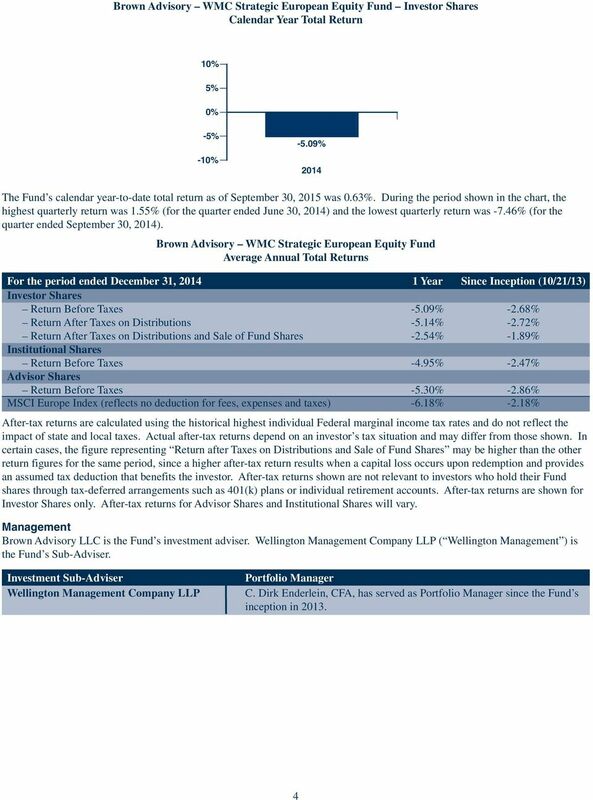 January 31, 2016 SUMMARY PROSPECTUS SIT Emerging Markets Equity Fund (SIEMX) Class A Before you invest, you may want to review the Fund s prospectus, which contains information about the Fund and its risks. 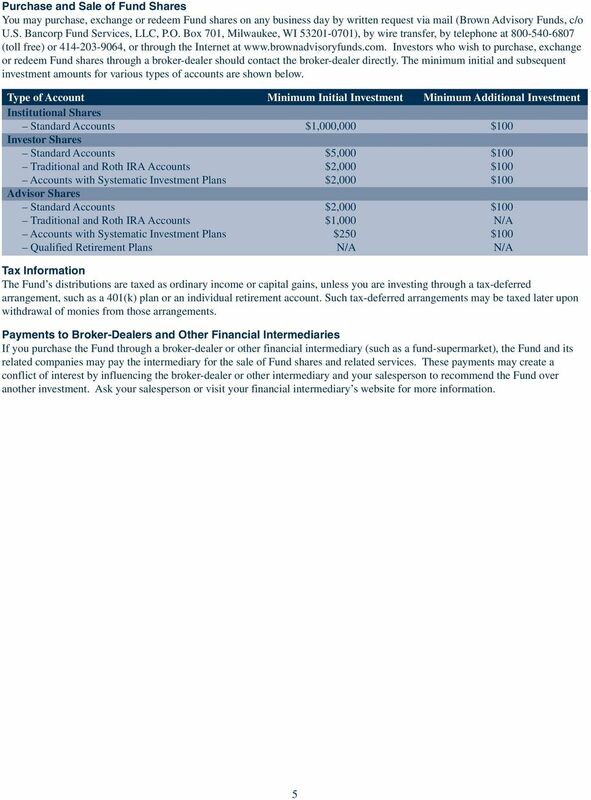 RevenueShares ETF Trust SUMMARY PROSPECTUS NOVEMBER 3, 2015 RevenueShares Global Growth Fund This summary prospectus is designed to provide investors with key fund information in a clear and concise format. 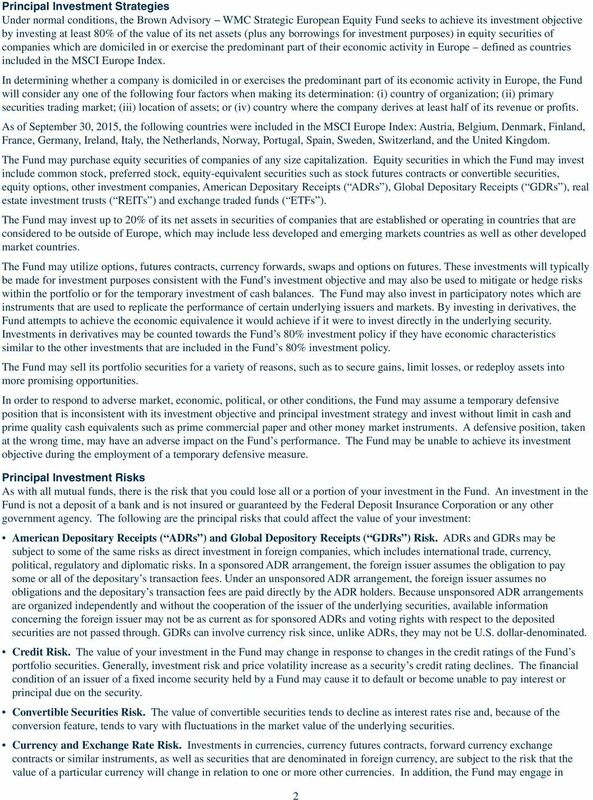 May 31, 2016 SUMMARY PROSPECTUS SDIT Short-Duration Government Fund (TCSGX) Class A Before you invest, you may want to review the Fund s Prospectus, which contains information about the Fund and its risks. 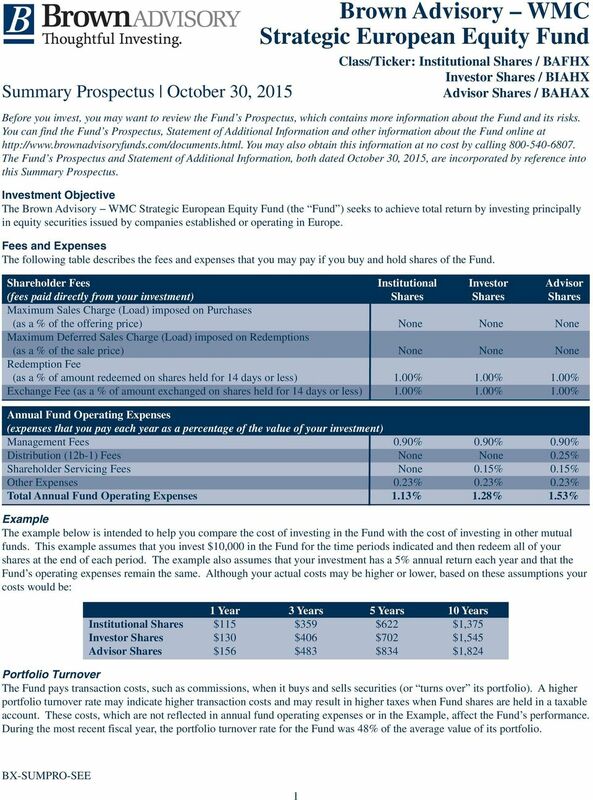 RevenueShares ETF Trust SUMMARY PROSPECTUS NOVEMBER 3, 2015 RevenueShares Mid Cap Fund This summary prospectus is designed to provide investors with key fund information in a clear and concise format.